Front and rear of a G3 all in one. 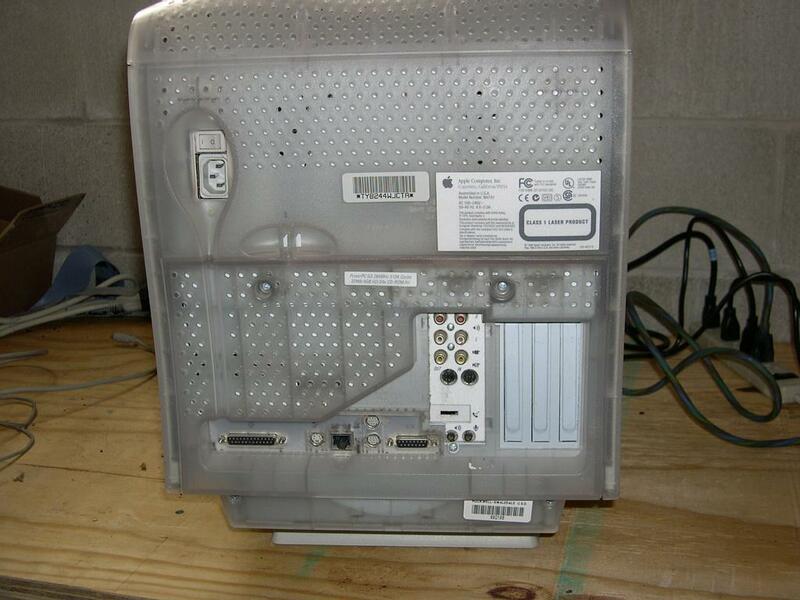 The G3 All in One was a G3 aimed for the education market, introduced in 1998 it's bulky design had less things for people to plug in, and therefore presumably less things for kids to screw up. 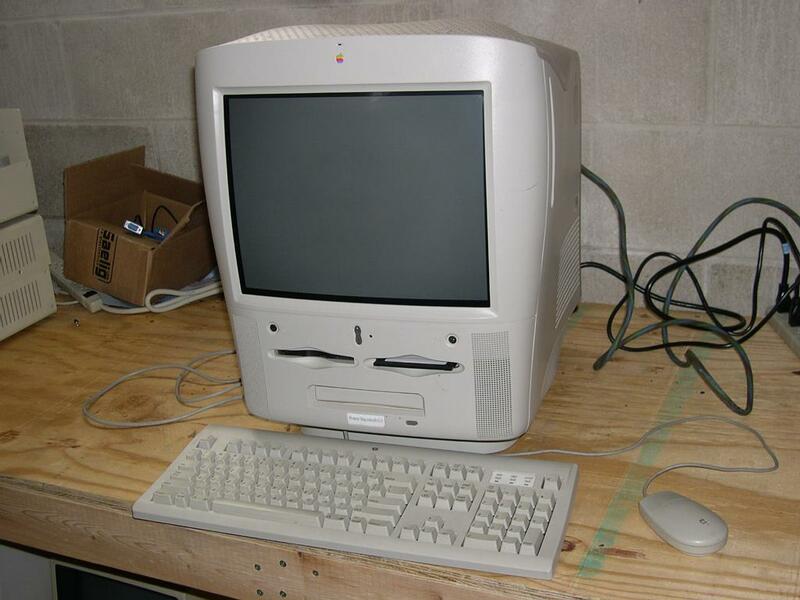 The All in One has a 15" monitor and either a 233mHz or 266mHz G3 processor (PPC 750), a 4GB IDE disk, and an optional internal ZIP drive mounted next to the FDD drive, and above the internal CDROM drive. Another nice feature of this Mac was its three PCI slots, allowing you to add some reasonably standard hardware, like USB controllers (depending on whether MacOS supported them) and the like. The All in One came with 32MB of RAM, but with three SDRAM slots accepted up to 768MB (256MB DIMMs) of PC100 memory. The only catch is that you have to make sure to use low-profile (1.15") DIMMs, or they will get fouled on other internal components. MacOS X is supported up until version 10.2.8, although you should be able to install later revisions using XPostFacto. I have not tried MacOS X on my G3 (the screen on mine is screwy), but I imagine on a 233mHz processor it would probably be a tad slow.